Every year brings new opportunities for researchers to explore and uncover new breakthroughs. These research are the culmination of previous work done that helped to inspire us to explore new ideas. A perfect example of that would be the work done by Joachim Frank, a biophysicist at Columbia University. In October 2017, Frank and Richard Henderson, of Cambridge University in Britain, and Jacques Dubochet, a professor at the University of Lausanne in Switzerland, were awarded the Noble Prize in Chemistry for their work in developing a better method of capturing three-dimensional images of biological molecules in atomic detail. The award was given to them to celebrate the importance of their work. For many researchers within biology and chemistry, understanding the molecular levels and smaller of things is very important to understanding the fundamental aspects of our world. Like other tools of science, such as CRISPR, developing better tools of science allows other scientists to do more than they could before. This allows us to explore new areas, ideas, and theories. None of the achievements made today could have been done without the work of scientists like Frank to develop the tools we use. So, as we enter 2018 let us look back at 2017 and explore some of the work that was done by researchers at Columbia University as they used the tools developed by scientists of the past and present. In a recent study, Wolfram Schlenker, an economist at Columbia University’s School of International and Public Affairs (SIPA) and a professor at the university’s Earth Institute, and Anouch Missirian, a Ph.D. candidate at SIPA found that there was a correlation between rising temperatures and increased influx of asylum-seekers into Europe. They looked at asylum-seeker from 103 different countries over a period of 14 years as they came into Europe. They compared this to temperature changes that occurred within those countries. They found that as temperatures deviated from 68ºF (20ºC) in the country’s agricultural regions, the more likely that people would leave and become asylum-seekers elsewhere. According to the researchers, crops grow best when the temperature is 68ºF and deviations from that would cause crop failure, which would put to risk the people that depend on it. So, as temperature increases in regions such as Iraq and Pakistan, where it is already hot, people would be prompted to leave those regions. Inversely, as temperature increases in colder regions, like Serbia, people were less likely to move away. They combined this analysis with predictions of warming that is yet to come and found that there will be an increase in asylum seekers. The increase will be 28% if the world can decrease greenhouse gas emissions or 188% if greenhouse gases continue to be released into the atmosphere. Initiatives like the Paris Climate Agreement are a start to address these increases, but the world must continue to build better systems, infrastructure to accommodate these asylum-seekers because they will continue to enter regions like Europe. 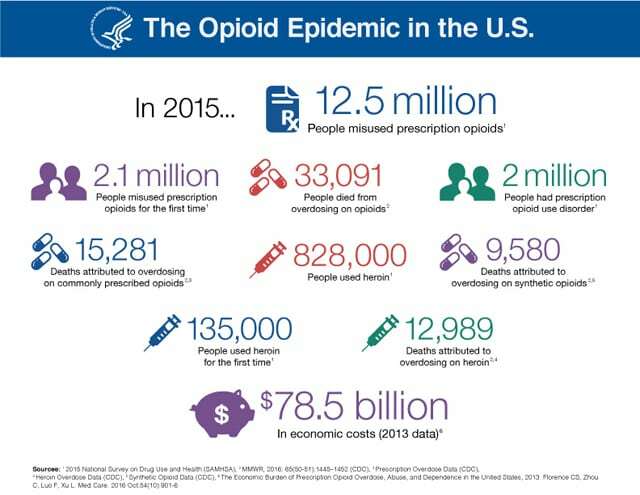 With tens of thousands of people dying from opioid-related drugs, like heroin or prescription opioids, and costing over $78.5 billion to the economy, the opioid epidemic in the United States is a major problem for everyone as it burdens the individuals addicted to them and the healthcare system. Treating this epidemic means addressing it on multiple fronts from how it starts, how it ends, and areas that are vulnerable to opioid exposure. The focus of researchers at Columbia University Medical Center (CUMC) was on how it ends. They wanted to understand who was at risk the most of dying from opioid addictions because helping these individuals would reduce the burden on themselves and the healthcare system, both of which are crucial to ending the epidemic. They looked at over 13,000 overdose deaths and found that 60% of deaths involved individuals who had chronic pain condition and many of them also had a psychiatric disorder. This marked the first time that a study was done to break apart opioid deaths into sections, with a particular focus on chronic pain. Given the association with opioid deaths and chronic pain, Mark Olfson, MD, professor of psychiatry at CUMC and lead investigator of the study, believes that these insights could offer new treatment options. Dr. Olfson believes that introducing substance use treatment services in hospitals or centers that handle chronic pain and mental disorders would go a long way towards reducing some of these deaths. Introducing these services and many other treatment options would help to combat opioid addiction on multiple fronts and hopefully eliminate the epidemic. Scientists Nicholas Frearson, Robin Bell, and Kirsty Tinto, from the Lamont-Doherty Earth Observatory, spent the last two summers in Antarctica’s Ross Shelf as they wanted to untangle the interactions between the Antarctic and climate change. Accompanying them on these trips were reporters from the New York Times, who helped to document their work as well as other areas of the Antarctic. As warming ocean water interacts with the ice of the Antarctic’s many sheets, they make many of the vulnerable and many scientists worry that this could be the start of an irreversible disintegration of these sheets. The collapse of vulnerable parts of the ice sheet would have profound effects across the globe. Sea levels would rise dramatically and coastal cities, like New York or Miami, would be put in danger of sinking. This deep connection between the cities and the Antarctic is one of the main reasons why a lot of attention has been focused on this region. The Ross Shelf is a region of the Antarctic that holds back many of the ice from entering the ocean. The researchers wanted to focus on this region to see it if was stable or not. Using their instruments, the researchers found that the shelf is currently stable. This news is optimistic because the Ross Shelf can act as a baseline of stability, which can be compared to other areas of the Antarctic when we check for levels of deterioration. It is estimated that almost 2 million people were diagnosed with some form of cancer in 2016 and almost 600,000 individuals died from their cancer. Cancer is a very deadly and detrimental aspect of human health that places a huge burden on individuals and the healthcare system. Many of the ways that we treat cancer, like chemotherapy, are effective but place a large health burden on the individual going through these therapies. They may be left cancer free, but they are also left weakened and vulnerable. It becomes important that we uncover more precise treatment options that don’t add additional costs to the person with cancer. Pawel Muranski, MD, director of cellular immunotherapy at CUMC, and his team work with a potentially new treatment called CAR-T. This therapy was recently approved by the FDA and represents one of the first forms of therapies to genetically engineers a patient’s own immune cells. CAR-T cells are T cells that have been removed from an individual and are modified to create an artificial molecule capable of recognizing specific components of cancer cells, called antigens. The modified cells are also numerous in numbers. When they are introduced into the body, they target cancer cells that express the specific antigen they have been programmed to locate and eliminate them. This therapy has been found to be very effective at removing cells that express an antigen called CD 19 in patients with different forms of leukemia. According to Muranski, this therapy can be modified to be used against other cancers and even other conditions because it is very adaptable. The main concern, which will require more research, is finding specific targets that are unique to cancer cells to reduce the risk of killing other healthy cells. 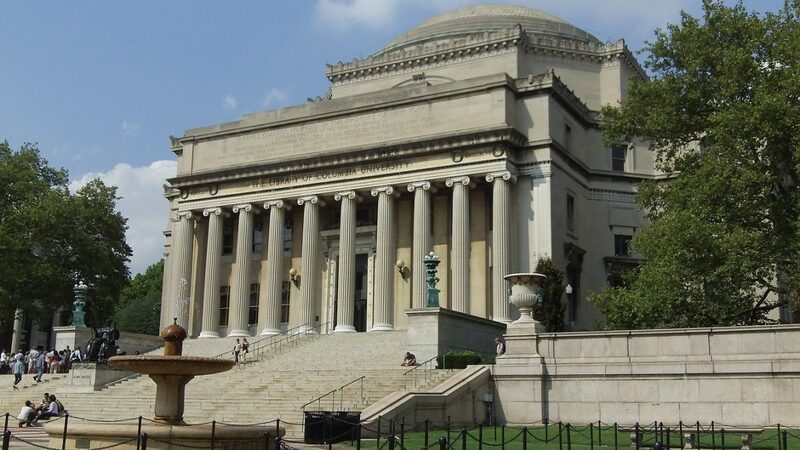 These were just some of the many achievements that came out of Columbia University. There were also breakthroughs that may allow us to move our energy development from oil, wind, or solar to evaporation. Others involved improving and combatting many other diseases and afflictions faced by humans. The start of 2018 has already been promising as the Irving family has generously donated $700 million to Columbia and New York-Presbyterian to be used towards cancer research and care. These donations and that of many others help to ensure that researchers stay funded for their research and can continue to discover and learn. As Columbia works to expand its facilities and bring in more researchers, we can expect 2018 to be filled with more discoveries and breakthroughs that work to improve humanity and the world we live in. Previous Post« Previous How Many Countries Are In North America?